Drafting a legal document is a very specialized job which is not taken seriously at all. In this copy, paste and template culture the problem has become worst. To draft a legal document, the draft-man must have knowledge of legal requirements and ability to read the document. By reading means, the manner in which it would be read in a court of law. Reading a document is based on principles of interpretation. These principles differ for different documents and sometime for different clauses of same document. Apart from above macro classification, different laws have its own specific requirements. Some require Formal deed some do not insist on formality. Contrary to popular belief ordinary law of contract in India and most of the countries, do not require a signed contract, for most of transactions. Accountants, Clerks, Estate agents, Company Secretaries and many other professionals frequently come into contact with large amount of data in the forms of draft deeds and contracts. Reading such documents and changing some clauses frequently generate substantial confidence in these professionals. Some of these professionals have started legal drafting as a part-time or ancillary business and they are only adding problems for their clients. Not only legal drafting by such people is a misconduct but would also be unfair to legal professionals. We frequently come across the problems created by such documents or interpretations adopted by such inadequate professionals. The list is endless but three examples have to suffice. Arbitration: Arbitration agreements have very precise requirements. These document can create or take away jurisdictions of the Courts. Therefore must be carefully drafted. A company from Canada, had its Manufacturing at USA and distributor in India. By mistake they used a form which was meant for distributors in Canada. The document did not refer to India at all. The Company could not establish right country for International Arbitration and lost just because it used a wrong drafting not meant for International Arbitration. Will: There was a rich man who had two sons. He had disowned one son during his life time. He owned one property which was mortgaged to bank for very small sum. He died with boots on. during his life time he executed a Will which was drafted by a cheap petition writer. Will requires a special attestation. The petition writer who drafted the Will was not even aware of this requirement. Instead He drafted two superfluous documents. One document was a useless affidavit. Another was an agreement to sell the same property with same beneficiary. After the death of this person, even after entire amount of loan was repaid it refused to return the title-deed as the other son also laid his claim. Now matter went to Probate Court. During the proceedings, the disputing son withdrew his objections and relinquished his rights. 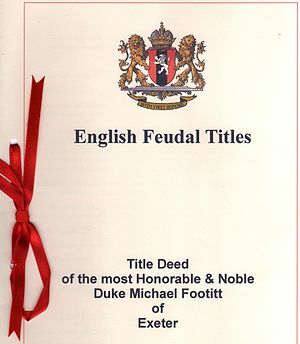 Other legal heirs filed their ‘No Objections’ in favour of legatee. (beneficiary in the Will) However due to improper attestation and unnecessary agreement to sell, Court refused to grant probate, even though no legal heir was disputing the Will. Managing Agency: The law as it stands today in India, a company can not appoint Managing Agent without prior permission of Central Government, which they do not permit. This was permitted freely prior to 1988. A Chartered Accountant has drafted a deed which engages two persons to run a business of this company. These persons are neither shareholder of the company nor employees. The person drafting such agreement is not even aware of position of law of Managing Agency. Nor does the client. The effect: an ineffectual and illegal agreement which has no binding effect. Every Government and taxation Department will soon be prosecuting the Company for variety of reasons like mismanagement, diversion of funds, misappropriation of assets and what not. By that time CA/CS would be sitting in some other company creating more miseries. After the above defects were pointed out another agreement was forwarded in which company was not a party at all. The directors were individually assigning the part of business of the company. Amazing! Director who is an employee of the company is assigning a business of company to third party. It appears, the person drafting the deeds had no legal knowledge at all. The society is getting more and more complex. Law has a finger in every pie. It would be wise to have basic knowledge about everything so that we may be able to decide, as to who is the right professional to talk to or more importantly listen to. Why get something done from a person he is not legally competent to do? Quality of services is certainly a big issue in India but why make it worse by knocking the wrong door altogether. But this happens all the time and mostly for the wrong reason of saving so-called ‘unnecessary buck’. It must be appreciated that if Doctor is wrong, we may come to know in a few days but if legal professional is wrong, we shall discover only after several years and irreversible damage. This entry was posted in Interpretation, Law and Justice, Precedent and tagged Attorney, Chartered Accountant, Company secretary, Conveyancing, Deed, Documents, Drafting, Estate agent, India, International Arbitration, Law, Legal. Bookmark the permalink. I have a question. I have 3 sons.If as per a proper WILL, duly registered, the self acquired property is WILLed to one son only. After death, will this son need to get a NOC from other two or the property can be transferred to him without their consent. Under succession law a properly executed Will is sufficient complete the transaction but at some places it is necessary to obtain a court order called ‘Probate’ while at some places it is not necessary. As regards ‘transfer’ of property, this expression has many different meanings in law. If your query is in respect of transfer under Municipal law called ‘mutation’ you will have to check the Rules of concerned Municipal Authority. There is a book authored by me on the subject of ‘Law of Probate, Succession and Will‘ you may buy it from Amazon, where it is available at a nominal price. It is a book meant for lawyers, therefore may help but it shall not have details of Local Laws.